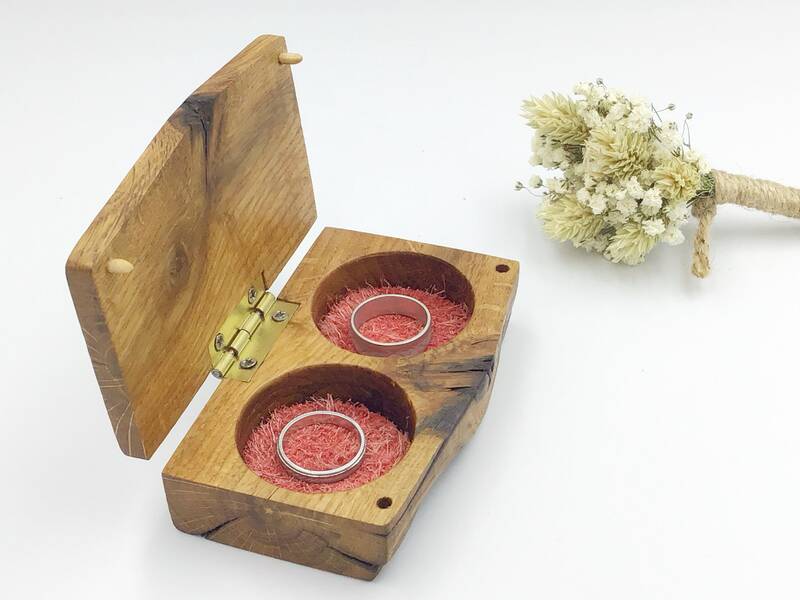 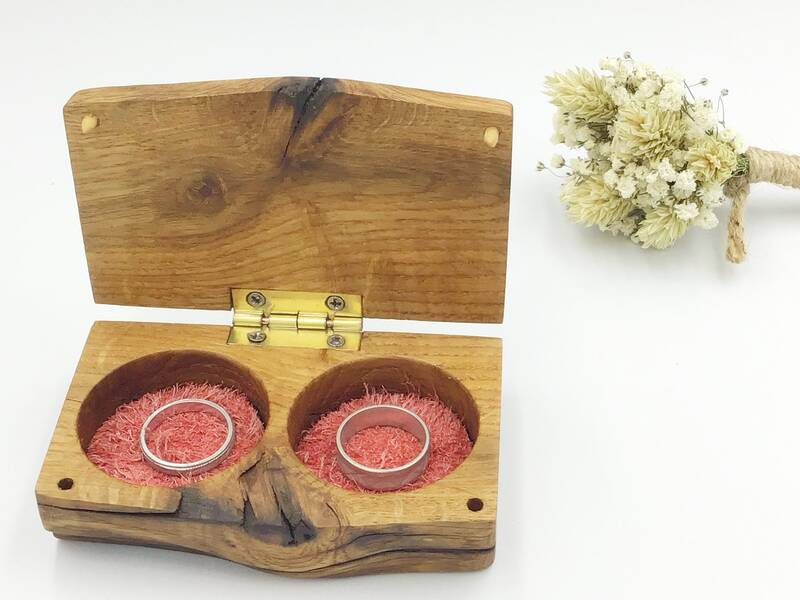 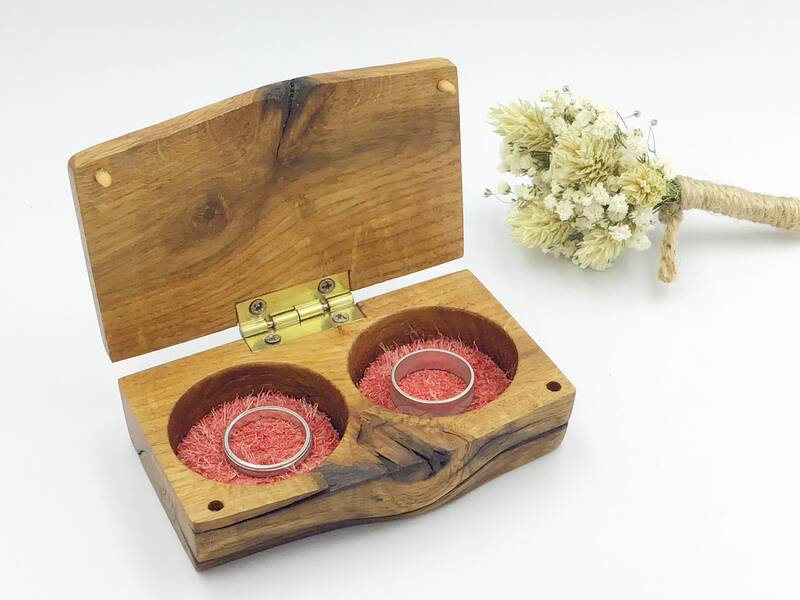 Wedding ring band bearer box. 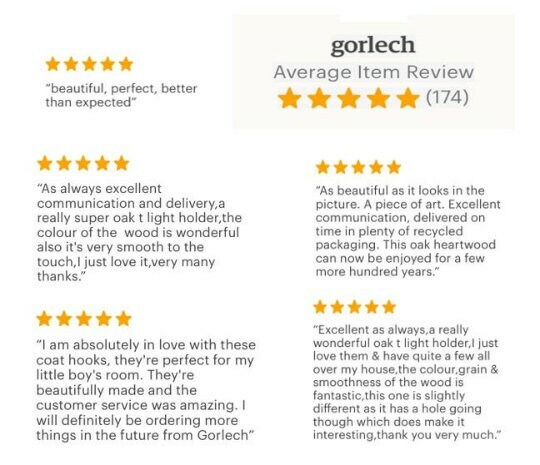 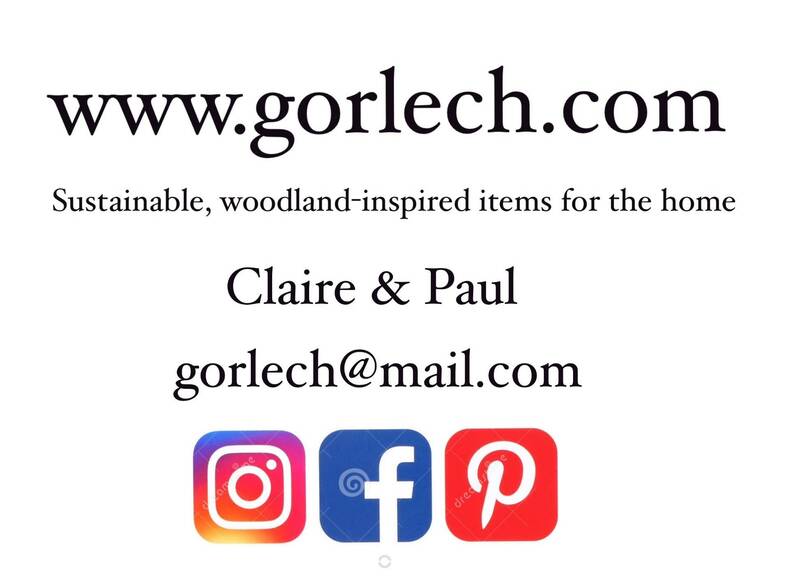 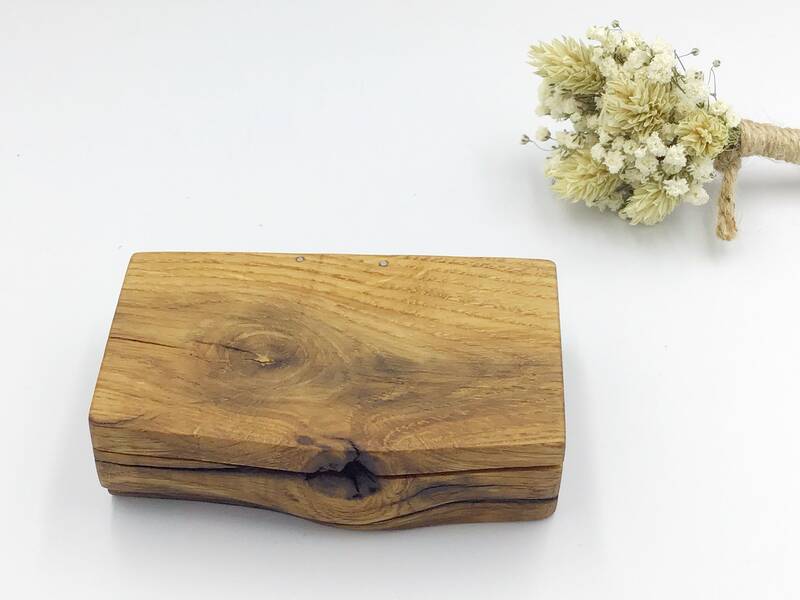 Handmade from solid Oak heartwood. 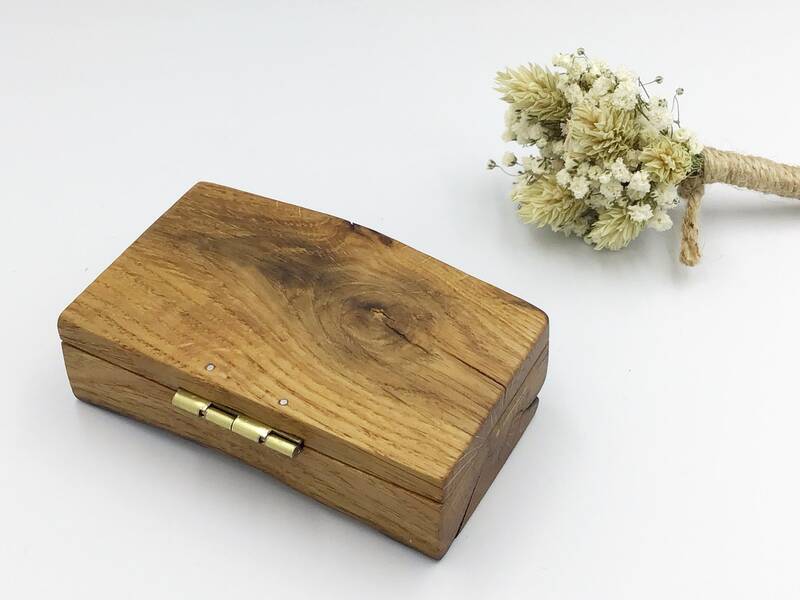 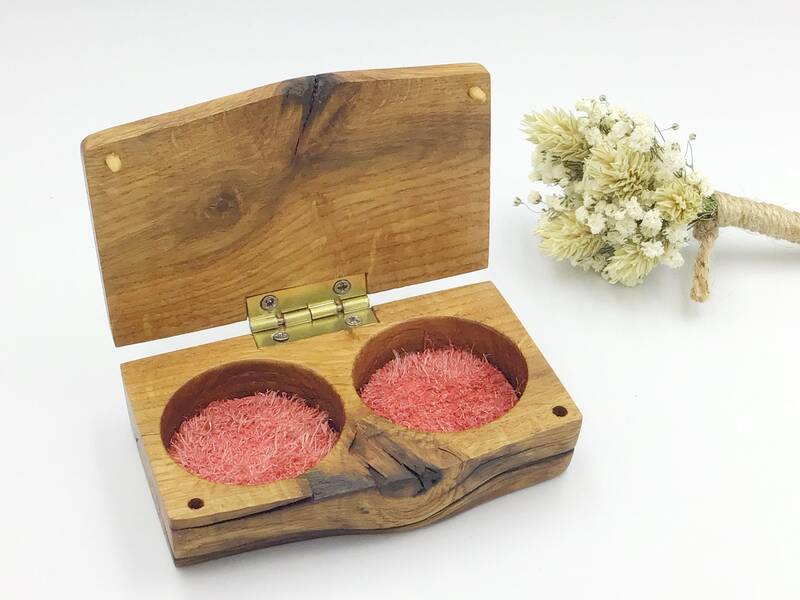 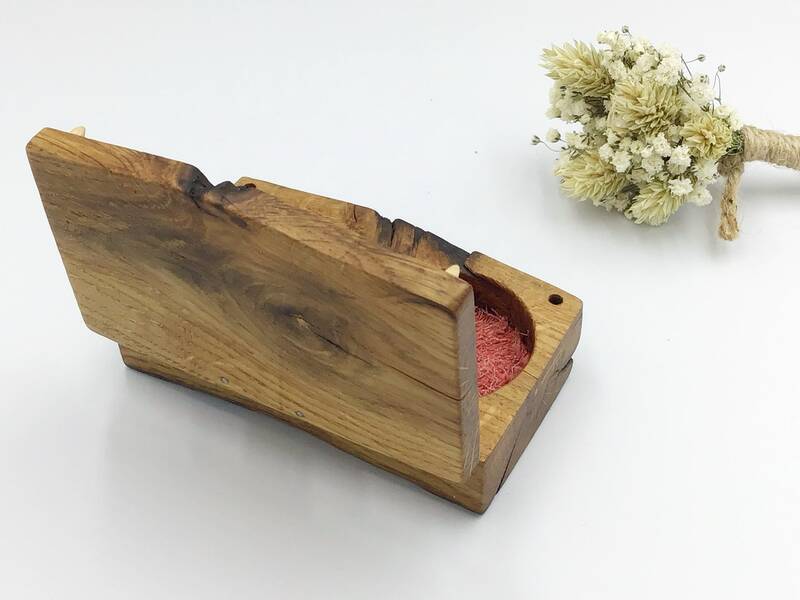 This ring box was made by us in our West Wales workshop from a lovely piece of oak heartwood (sourced by us as part of our woodland management / conservation work). 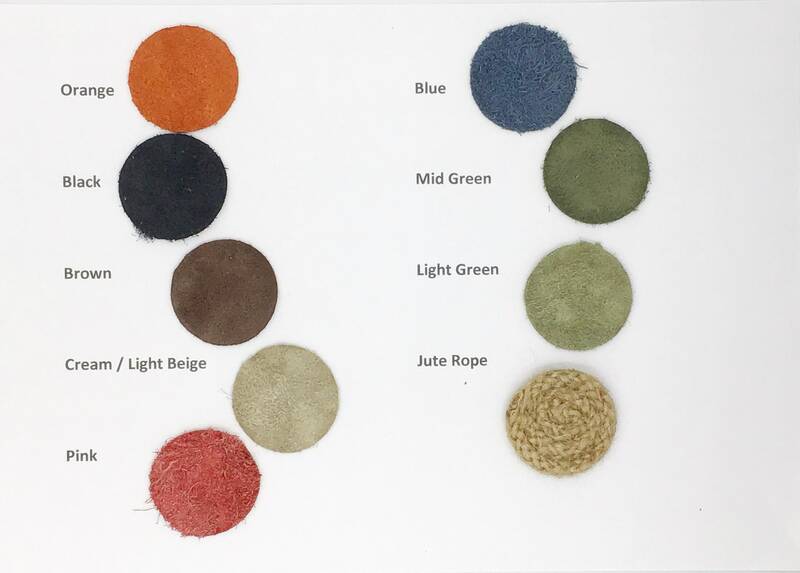 The dish will be inlayed with suede leather - there are several colours available for you to choose from (please see photos).